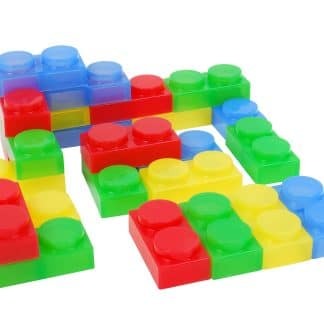 SiliShapes Soft Silicone Bricks interlock in rows or around corners. Not only that. 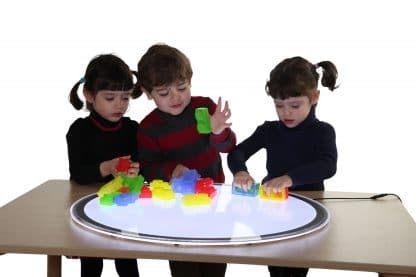 Toddlers line up, stack, and arrange transparent bricks into patterns both on light tables and off. 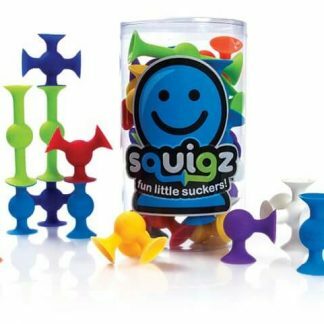 Designed to fit easily in a child’s hand, SiliShapes Soft Silicone Bricks interlock in rows or around corners. Not only that. 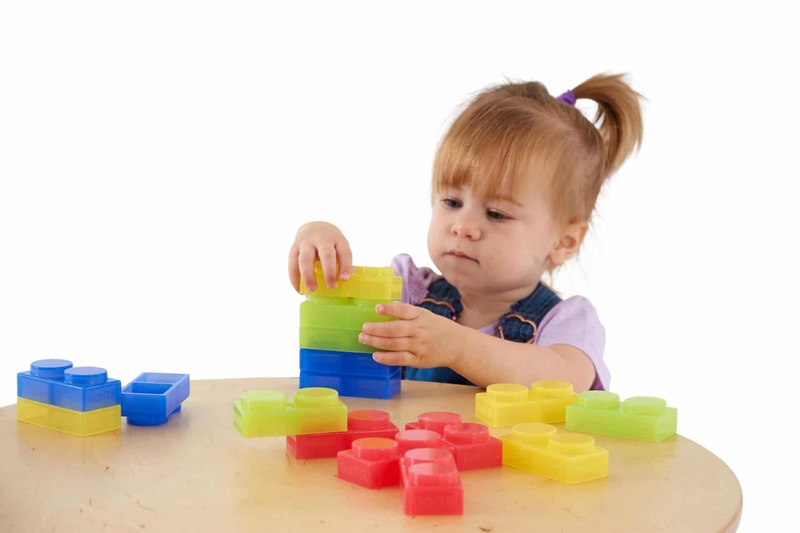 Toddlers line up, stack, and arrange bricks into patterns. 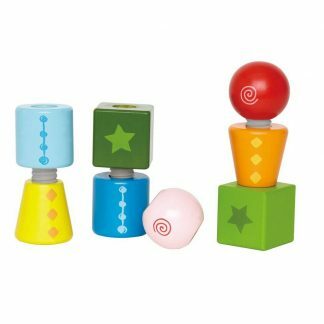 All the while they are building eye-hand coordination, fine motor and spatial skills. 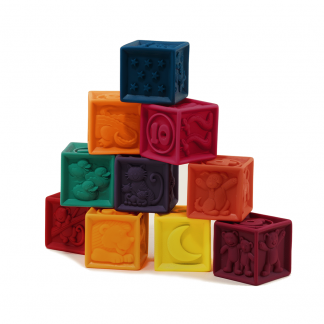 Because SiliShapes Soft Silicone Bricks are transparent, children explore light and colors. They can look through the bricks and see how light affects the intensity of the colors. Ideal for use on Ultra Bright LED Light Panel. 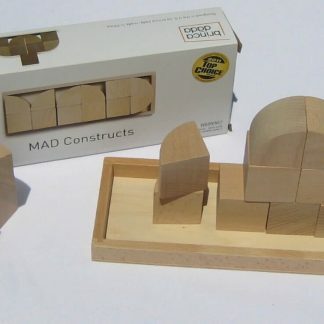 Indispensable for children with low vision. 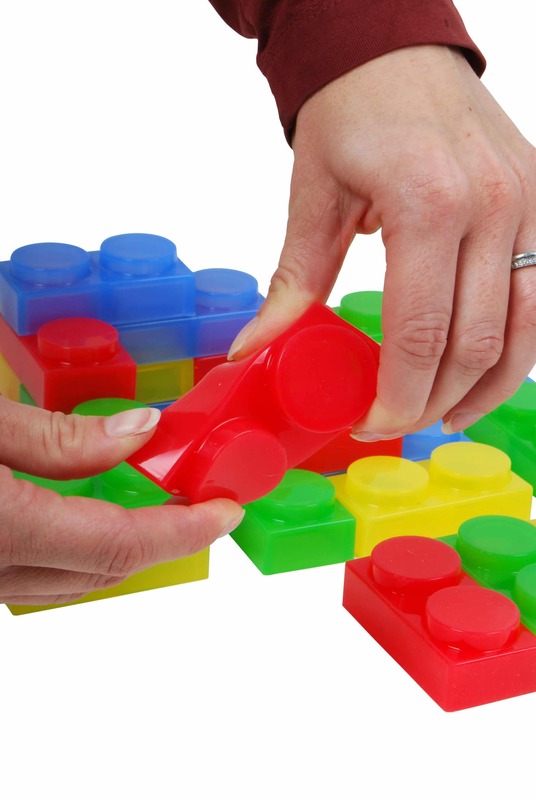 Bricks readily serve as props for pretend play. Soft yet sturdy they also hold up to sand and water. Not only can bricks be washed with soapy water, they can also washed in a dishwasher without harm. 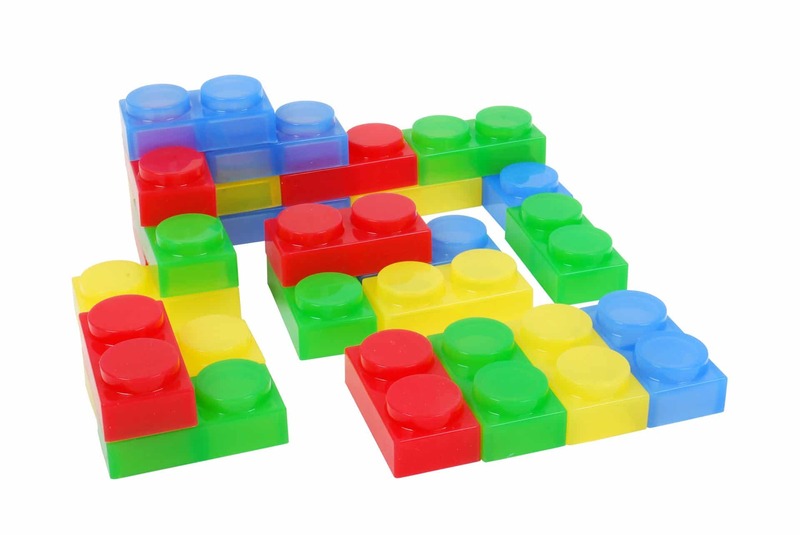 Twenty-four bricks in four colors: six each of red, yellow, green, and blue. Each measures 3″ x 1 1/2″ x 1″.